It is one of those rare occasions that singers are invited to the audio release, at least in Chennai. I was invited to the audio launch of Vallamai Tharayo that happened this evening at Rani Meyyammai Hall. The hall was aesthetically decorated and everything was meticulously planned - and most importantly - executed. Madhumitha, the director of the movie, is as old as I am, and she got to know me through a very good common friend. She wanted me to see whether I would suit this track and she finally got my number and I was only too glad to know that I was to sing for Bharadwaj Sir. It has been quite a long while since I sang for him. I sang first sang for him in a movie called 'Oru Murai Sollividu" a duet with Unnikrishnan anna and another was a duet with Harish Raghavendra. Madhumitha explained what she expected of me from this song and what was going through the heroine at that point in the movie. Something that has never been done before. Madhumita has been a part of the POC 3 crew, she had interned with them for a few weeks and she was explaining how everyone and anyone is given their due respect and given enough chances to prove oneself. I guess there is no bracket of a 'woman' director as long as Hollywood is concerned. Madhu did not have anything to say whether being a 'lady' director was a tough thing here in Kollywood, coming to think of it, I never got around to quizzing her on that. Maybe I should. I was lucky enough to get some time to rehearse the song before Bharadwaj sir came in to the studio and once I finished he said that I sound radically different from the last time he heard me. This evening, Sri Vikku Vinayakaram and Sri P B Srinivas were among those who were honoured. Sri PBS received the first copy of the audio. I also met Anuradha Sriram, Srinivas sir, Harish Raghavendra at the event. As soon as we entered, we followed protocol and I gave quite a few video bytes. I truly wish this movie turns out to be a super success for Madhu. The only thing I could not do for this movie was dub for Chaya Singh. I gave it a try, they almost zeroed in on me but then at the studio I somehow felt and knew I won't be able to get it right. Somehow I felt something was missing in me. And when I told Madhumita, I was so glad she understood. Oh, by the way, the song is in my audioblog. I just wonder, how lucky you are to be a part of all these events and shows. It's cool right? I know, ur hard work is behind the scene. ah.. thanks for your effort to share ur experience. voice & tune so good. There is far too importance to the Face in the song, than the voice behind the song. Its nice if Singers are invited to Audio Launches. Are you given Audio Copies by Composers ? i would consider PB Srinivasji as the Rafi saab down south. Both have got a soothing voice. Wah!. Made them both my inspirations. 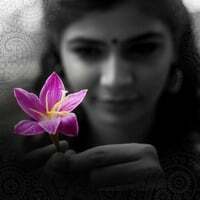 I like, 'Kaalayum Neeye','Paarthen Sirithen','Pon Enbaen','Chinna Chinna Kannanukku','Mambhazhathu vandu','Madhura Nagaril','Tholvi Nilayena Ninaithal','Kaatru Veliyidai Kanamma','Kaatru Vandhal Thalaiyattum','Nenjam Marappadhillai'(i feel scared to listen to his haunting number when alone)' and more....They must be still more recognised. We must also popularise old songs more. Unlike north, here the craze for old song is minimum. Even myself got tuning my ears only currently. Funny... I always thought singers were invited for audio launches cos they were a part of the team.. Anyway, most of the time you are in envious company for common people like us !!! I also assumed that singers are automatic invitees to album releases..its really odd that they dont do that. i liked the song much better the second time I heard it..which was on Kaapi Klub :P..
"It is one of those rare occasions that singers are invited to the audio release, at least in Chennai"
Can't Believe. I thought singers are also invited for the audio launch. Anyway, we enjoyed ur comments abt the program. please be matured enough to just ignore these kinda nasty comments. dont behave to your age...behave to the height u hv reached. such are so common, and u need not reply them. Tamil magizines are busy is making parthiban's absense a big event. did u notice that? Hey Chinmayee...are you the one who sang the title song of Guru?? If yes...well done. I am a short film maker...if I decide to enter main stream..please keep your dates ready for me. Btw... is the name of your blog whattonameit inspired from isaignani illayaraja's how to name it?? Your post inspired me to write the following in my blog. "Though a lot of us have grown up listening to old songs, it sometimes requires some kind of an 'aha' moment for a song to come to us, in a rush and its surprising how we suddenly perceive a certain magic in it that we had previously failed to notice. " I think that is almost perfect explanation on how we comprehend the true feel of a song at some random moment. I have had similar moments on several songs, not just the old ones but on several recent ones that I have heard multiple times. There are also instances when you hear a tamil version of popular other language song and get "wow"d about it. "முழுமதி அவளது" by Srinivas is one such song. This is the tamil version of "Jashn-E-Bahara" sung by Javed Ali in the movie Jodhaa Akbar. Outstanding melody by Srinivas. I have also felt that when a male singer render a female version of a popular song (and vice-versa), the transformation is most often phenomenal. I don't know if the singer gets some distinct advantage in such situations or it's truly different perception of the listener or if it is combination of both. Couple of months back I was watching Vijay Tv's "பாடும் Office" and one of the girls sang 'இசையில் தொடங்குதம்மா' from Hey Ram (Orginally sung by A Chakraburthy). I am not sure what her musical background is, but she sang so well and outclassed everyone else in that show with that performance. This week I was watching American Idol and one of the contestant, David Cook rendered his own version of Mariah Carey's "you will always be my baby". It sounded absolutely brilliant. My all-time favorite in this category (male singing female number) is the one from movie "கேளடி கண்மணி" and this one is not even a regular soundtrack in the album. There is this scene where SPB sings "கற்பூர பொம்மை" for his daughter and he will only sing a few lines in that scene.... truly magical!! !